Just as a little last minute inspiration and push, here are some cards from another one of our design team members: Audrey! Well, hope you get another one or 2 in before the end of the month here and remember that you need to have 5 cards linked before the end of the month to be eligible for the prize! Keep your eyes out on the 1st for the new challenge and a great prize hosted by one of our very own DT members! I'd like to start by welcoming Julie and Tracey to our team! Hi, I'm Julie and as the title of my blog suggests, I have a passion for, an addiction almost, to all things paper!! I've been married for 24 years to a very patient and understanding man (God knows he has to be) and we have three very grown up daughters. . . for me, paper fills a void! I have a very small dog who has a very big personality and also look after a guinea pig that one of my daughter's "forgot" to take with her when she moved out. I don't have as much time to craft as I would like . . . (well does anyone?) but I thoroughly enjoy the time that I do have! I was born in Kingston, Ontario Canada. I emigrated to Australia in 1990 when I married my Aussie husband. I'm a keen crafter, and dabble in many different things, but especially enjoy papercrafting. I've been stamping for over 12 years and scrapbooking for about 6. 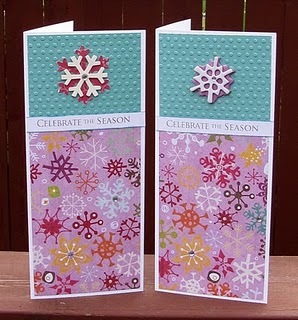 My favourite aspect of papercraft would have to be cardmaking. Nina Fløtterud is my name and I`m 33 years old. Live in a small place in Norway with my boyfriend, a little baby daugther and a dog. Started to make cards in 2007, and that have been my passion ever since. 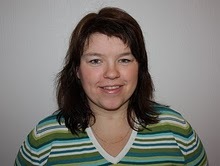 Hi, my name is Tine E. S. Kristiansen and is 34 years old. I live in a nice village on the west coast of Norway. Here I live with my fiance. Together we have a daughter who is almost 3 years old, and he has a boy from before who is now 13 years old. I have "always" been doing some hobby stuff. I 've even had a hobby shop that I took after my mother. But I did not begin with Scrappbooking and card making before a little after our daughter was born. I wanted to make her an album and "stumbled" over scrapping web shops. Then I went on my first scrap shop. And I was shocked. I began in a small way on the kitchen table and I had my few things in a cardboard box. But then we made a hobby room, and things became much easier. Now I sit almost every day and enjoy making cards and other stuff in there. I do not work currently because of back and pelvic problems. So then I have all day to enjoy myself making cards (at least some of the day). 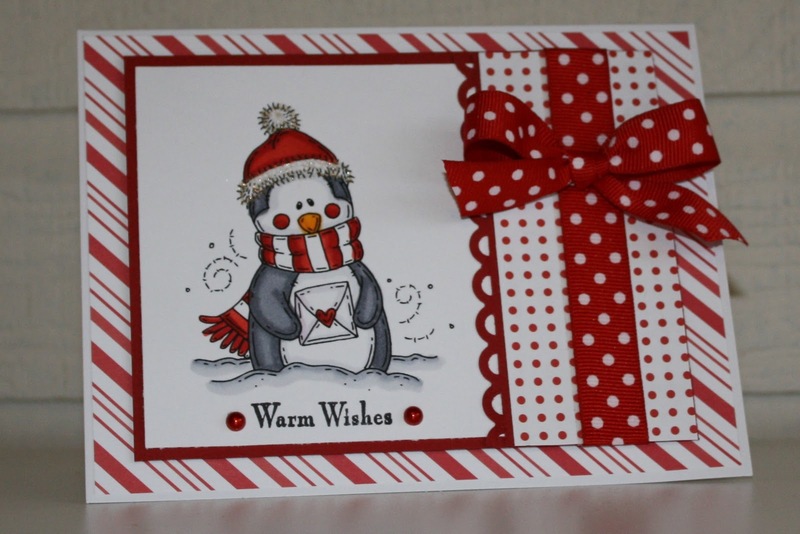 I create lots of cards that people order. I also have some stores that sell the cards for me. Christmas is very special for me. I love making things for Christmas. So this challenge blog is totally great for me. Thanks for that I was allowed to be a GTD! A HUGE thanks to all these ladies for their amazing work this month and I'm so happy to see all of the entries already for this month! Keep it up! You can check out this month's challenge HERE! As I mentioned yesterday, we're going to be posting at different times throughout the month just to help keep your mojo going and to showcase the amazingly talented ladies we have here at CCAYR. 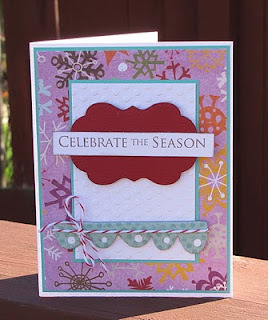 I'm here today with some gorgeous cards from Marianne and these are sure to get you going on some new cards! Check out her blog for more inspiration as well! And remember, the challenge for January is Anything Goes, so come and play with us! Get those cards started for next year. 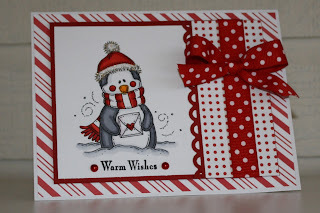 And a little hint is however many cards you make in January, address that many envelopes as well as it'll be one less thing to do at the end of the year again! Well, here's hoping you started off 2011 right and that the year brings you all good things! We're also hoping you're going to join us again this month and start working on those cards for next Christmas - there's no time like the present to get a head start! Yes, you heard it right - anything! Get out those scraps or the new stash you had to have this year, but never got the chance to use. Just start creating! Take a look at what our new design team has created for you as inspiration! Holiday series cards that you can see HERE! ﻿Keep your eyes out throughout the month for more reveals and intros to our new team members as well! Looking forward to seeing more cards soon, so get your mojo on!